Infographic Description: Pain occurs frequently in patients with cancer and has many causes. PAIN can be from the tumor and/OR the treatment. PAIN can be acute (short-term) or chronic (long-lasting). PAIN cancontinue after successful cancer treatment ends. Controlling PAIN is an important part of your cancer treatment plan. 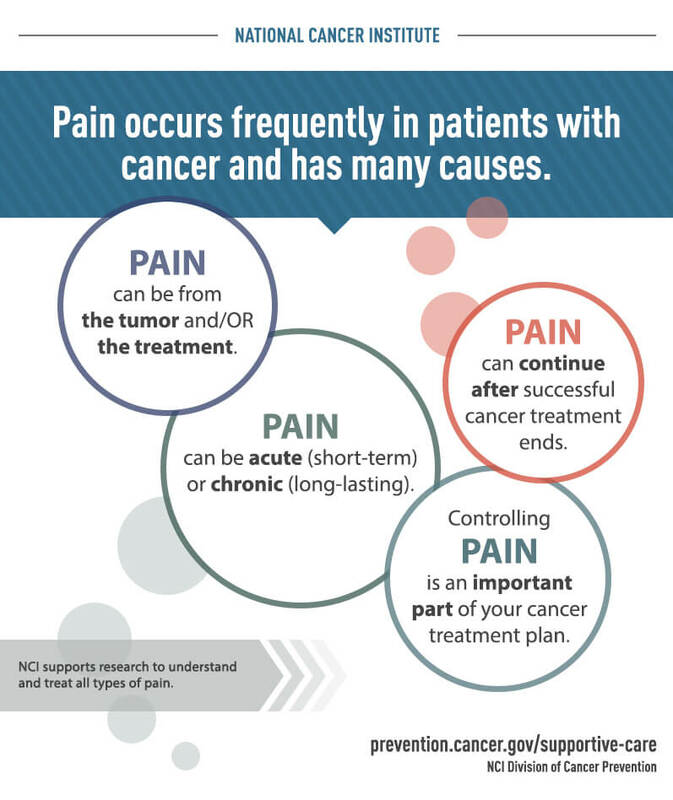 NCI supports research to understand and treat all types of pain.